Be living in Sunnymede by the holidays! Charming Tudor on dead end section of Belmont that has been renovated with all big-ticket items recently replaced. 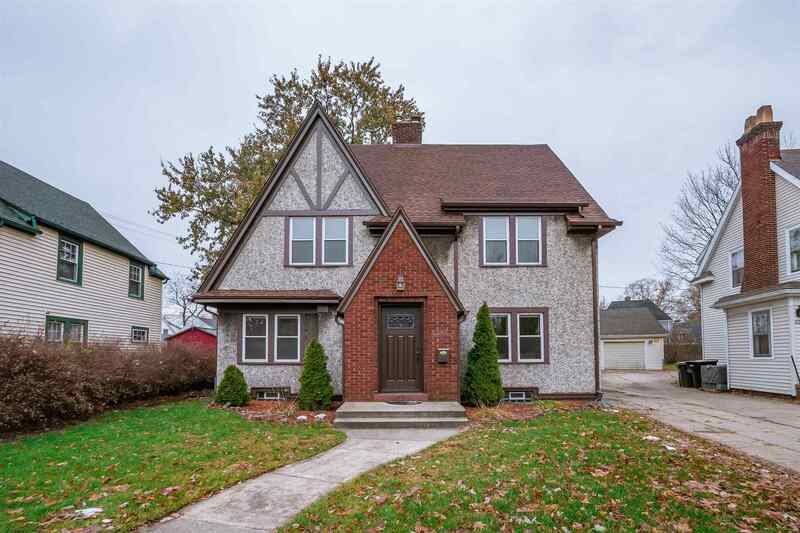 This spacious 3-bedroom 1.5-bath home has all the special features you would expect from a 1929-built home, with the hardwood flooring, tile, beautiful original woodwork and doors not even painted over, but with so many updates that there is nothing for the new buyer to worry about but move in, light a fire, and celebrate the season. Updates include replacement windows, vinyl siding, gutters, roof, doors, high-efficiency furnace, water heater, appliances, updated electric and plumbing. As if that is not enough, this home offers a huge attic with a high ceiling that could be converted to offer another living space. Currently access is through the pull-down stairs in hallway. The yard is fenced, and this part of Belmont is peaceful with barely any traffic, and extremely close to the farmers market, zoo, DTSB, with just a bike ride away from ND campus.